BELLEVUE, Wash., Oct. 11, 2018 /PRNewswire/ -- Xevo Inc., the global leader in data-driven user experiences for the automotive industry, today announced that they have partnered with BancPass to incorporate the electronic toll pay app PlusPass into their in-vehicle commerce and services platform, Xevo Market. Xevo Market makes it possible for consumers to engage and interact with their favorite merchant brands and services via their in-vehicle touchscreen and vehicle-branded mobile apps. Consumers are able to order their favorite food and drinks from the car and have it waiting for them when they arrive, find the nearest gas station and pay for fuel, and now with PlusPass they will have a new, convenient way to pay for tolls. The PlusPass app allows users to see their toll road transaction history and manage vehicle and payment information. 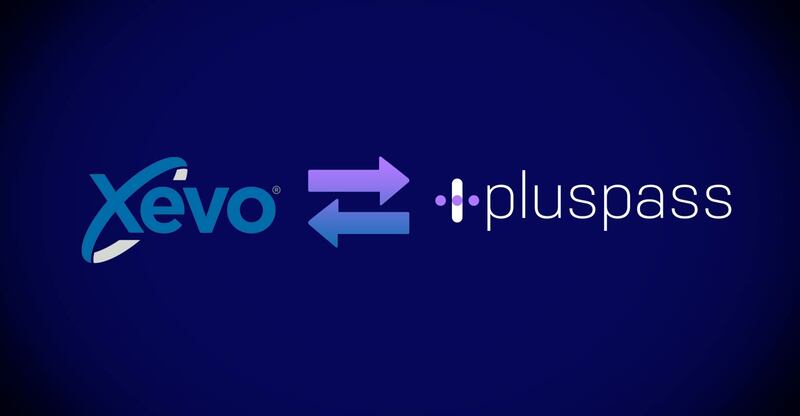 Integrating the app into the Xevo Market platform will allow PlusPass users to access the app directly from the touchscreen of their vehicle, making it possible for them to activate vehicles, manage their account, and receive status updates in real time without having to interact with their phone. "We are happy to have our partners at BancPass join the powerful Xevo Market family of brands and services, bringing their deep domain expertise in the electronic tolling and revenue collection systems space to the platform," said Dan Gittleman, CEO, Xevo. "Drivers and passengers spend hundreds of hours on the road each year, and Xevo Market's innovative technology allows our partners to extend their customer relationships into millions of vehicles. Xevo Market improves the driving experience by making time spent in the car more productive and enjoyable. Together, Xevo and BancPass are revolutionizing the way people pay for tolls." "BancPass is excited to be partnered with Xevo, the leader in merchant-to-driver touchscreen applications, and to offer the convenience of managing the PlusPass app directly from a user's vehicle touch screen. As BancPass moves toward national interoperability with the PlusPass app, Xevo Market offers a great way to increase the availability of the PlusPass solution," said John Freund, President, BancPass. "The nature of vehicle use and ownership is changing, and the partnership with Xevo and their in-vehicle platform allows greater flexibility in managing user payments from in-vehicle touchscreens." Xevo Inc. is the global leader in connected car software and a Tier 1 partner to some of the world's largest automakers. The company has one of the largest automotive IoT deployments in the world, with its technology on the road in millions of vehicles. Xevo's Journeyware thin-client platform for cloud, car, and mobile devices enables consumer commerce, multi-media applications, and enterprise services to improve performance and safety, deliver an AI-enhanced driving experience, and provide new monetization opportunities for automotive OEMs. Xevo Market, the company's in-vehicle commerce and services platform, connects customers with their favorite brands and services by delivering highly-contextual offers through the touchscreens of their vehicles and their vehicle-branded mobile apps. For more information, visit www.xevo.com. BancPass is a Texas corporation focused on providing mobile payment solutions that are convenient and cost effective for operators and users. BancPass' innovative approach and proven applications leverage the secure technology and standards of the financial and electronic payments industries to service electronic toll collection. The goal is to promote National Interoperability (NIOP) by providing an open, cost effective, transaction-processing network for Toll Operators, while enabling consumer choice. BancPass solutions, including the PlusPass application launched in 2013, and the BancPass Pay-As-You-Go toll sticker program, are operational through several toll operators with plans to expand across the country. PlusPass enables consumers to be in control of their toll payments while reducing operating costs for toll operators. The BancPass Toll Sticker program, was launched in November 2015 in Houston, TX, and provides users with a cash reloadable, toll tag distribution and reload network through retail partners.